La Rosière, France – Hyatt Hotels & Resorts has announced plans for Hyatt Centric La Rosière, the first Hyatt Centric hotel in France and Hyatt’s first ski resort in the region. Hyatt has entered into a franchise agreement with La Rosière Gestion SARL to be managed by Sophos Hotels. The new 71-room hotel is expected to open by the 2017-18 winter season. Hyatt Centric La Rosière will bring the Hyatt Centric brand concept to the Savoie region of the French Alps. The hotel will be located moments away from the ski lifts in the center of La Rosière, with breathtaking views of the mountains and valleys beyond. Guests will be able to head straight from the slopes to the hotel bar, H40 Bistro Bar, and the fashionable all-day dining restaurant, La Tavola, providing a vibrant atmosphere for both guests and non-residents in the heart of La Rosière. Both food and beverage outlets will capture the mountain views, while selected rooms will include bathrooms that offer panoramic views of the Valley. 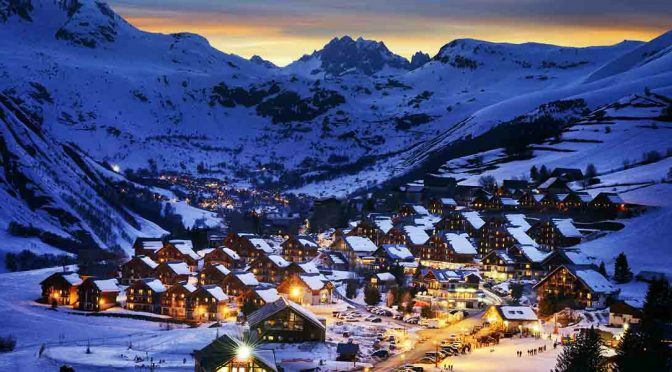 La Rosière is a popular skiing destination in the Tarentaise Valley, known for its dramatic landscape and close proximity to Courchevel, Val d’Isere and Les Arcs. Skiing in La Rosière is suitable for skiers of all abilities, boasting 160 kilometers of marked runs and the only heli-skiing in the region. The hotel will operate seasonally, opening December to April and again from June to September. The new addition will join 13 other Hyatt Centric hotels currently open across the globe. Launched in 2015, the Hyatt Centric brand includes hotels in Chicago, Houston, New York City, New Orleans, Waikiki, Hawaii, Arlington, Virginia, Park City, Utah, Miami and Key West in Florida, Long Beach, Santa Barbara and San Francisco in California and Montevideo, Uruguay.